Visibility/Location: The Downs Haunted House is very easy to find. There are more than enough signs that are directing you to the haunted house and to Dooley Park. There is parking located near Dooley Park across the street and on streets around the park. Tickets are purchased in Dooley Park and then you can take the hayrack to the haunted house which is located a couple of blocks away. Afterwards you take a longer hayrack ride back to the park. Wait Entertainment: After you purchase your tickets, if the hayrack is not back you can buy food and sit around the bonfire to keep warm. There is also laser tag area that you can play for $2.00 extra. Once the hayrack drops you off at the haunted house, that I where the ghouls are waiting for you. A girl zombie, an oversized Frankenstein monster, Twisty from American Horror Story: Freak Show, and a maniac clown are wandering the crowd. The manic clown is the one to watch out for- nothing will silence a crowd faster than a baseball bat hitting a street sign next to the queue line. Off to the right of the queue line is a cemetery scene with ominous music playing. Crowd Control: Patrons are spaced out really well. Downs has always done a superb job of spacing out visitors. You never run into another group at the house. There were 2 of us so we were placed with another father and daughter to go through the house. As we walked down the side of the house and was placed in a small enclosed wire cage. As we were entered the house a half dead security guard met us in the first room to read us the rules. Standing in the room while the guard explained to us what we were walking into, a mental asylum. As I stood there, all I could think about was that the security guard was really in a need of a bath. It smelled a little, well a little like poo. Well it was not him, sorry Scary Security Guard. The first room that we walked into was a bathroom that contains several toilets. Ok this was the poo smell. Nothing better than Sinister Scents in a haunt! The room was absolutely disgusting! I loved it! As you walked into the next room, the crazy clowns were loose. The clowns were hopping on and over beds, laughing, and just completely in your face. Walking down a dark narrow hallway you could see the open fuse box and wires on the wall. Add a few sparks and loud noises and this made the startle for the house easy to achieve. One of the standout areas was the doll room. Imagine tons of dolls, that no one wants to play with. Plus add in a couple of dolls that are alive. One doll, with pigtails, even decided that maybe I should be separated from my group. Even though she was smaller than me, she was not going to let me proceed. She was a showstopper in that room. As you were walking into another dimly lit room a pneumatic prop got you from a corner while another scare came from a drop down stone wall. The finale room, was an in your face clown, wielding a chainsaw. He made sure that you were running out of the house. Actors wore both masks and make-up. All matched their scenes perfectly. All of them remained in character. Even while they were resetting their scares, they remained in character. Downs Haunted House is a small house but they work with the space very well. The scares come fast and swift and they really keep you on your toes. Downs Haunted House just cannot be beat for the price. 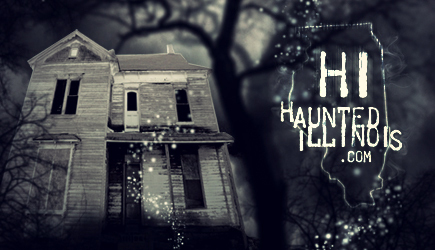 You can take the whole family out for dinner, a haunted house, and play laser tag after, all for around $10.00 a person. If you are looking for some family fun, Downs is the place to go!